There’s still time to RSVP for the U.S. Green Building Council’s Art Week reception this week. 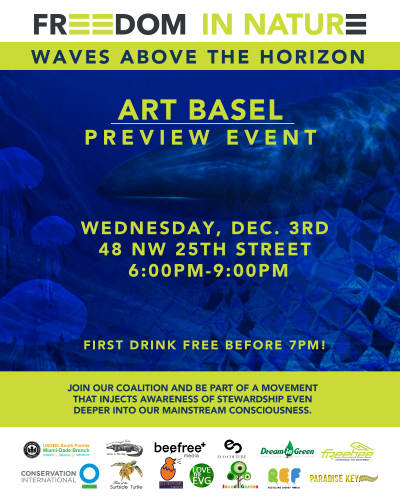 Join USGBC Miami and a coalition of several other environmental organizations to preview the Freedom in Nature: Waves Above the Horizon installation as part of Freebee’s “FREEDOM” Experiment. 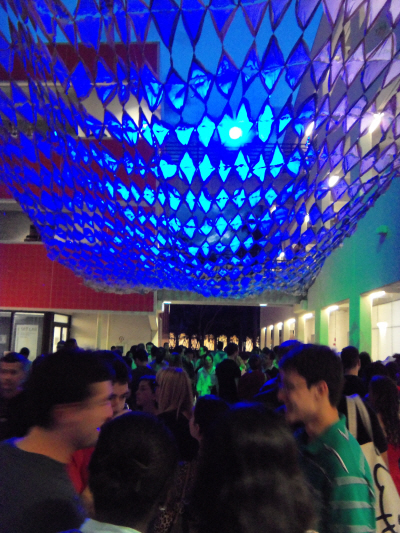 This is the first free, collaborative, eco-installation at Art Basel Miami! Come engage in an interactive experience allowing visitors to not only see, hear, smell, and touch, but to actually take part in the masterpiece!Various community artists have found unique ways to pull elements from the waste stream and repurpose them with other materials, sound, and lighting to create an oceanic ambiance. FREEDOM gallery with be open to the public with FREE admission from December 4 through December 7 during Miami’s Art Week. Come learn about ways you can make small changes that will create a big difference! Enjoy an evening of GreenWorking, beverages, light snacks, and good company and be one of the first to see this new and exciting exhibit before it opens to the public for Art Basel!